These next months will be fantastic for our HeloAppStore. Today, an exciting announcement for HELO Users with Android phones: two new free apps are available in the Playstore and HeloAppStore. 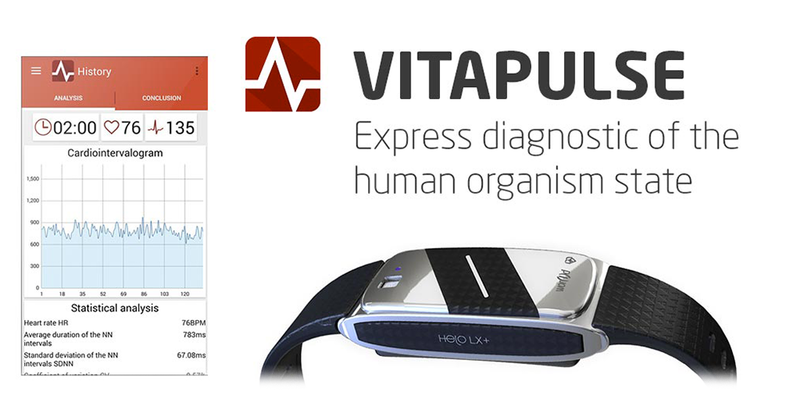 VitaPulse for HeloDiagnostic mobile app that allows any person without expensive medical equipment, but with their amazing HELO LX+ to independently control for their functional health state. Users can learn their level of health assessment, adaptability of organism, level of stress, balance expenditure/energy recovery, as well as improve their quality of life and reduce the risk of unexpected health problems. The Algorithms in the app and the interpretation of the obtained results are based on numerous scientific studies and recommendations European Society of Cardiology and the North American Society of Pacing and Electrophysiology. The App supports (full version only) Holter monitoring – a method by which diurnal monitoring of the functioning of the heart. It uses HELO LX+ heart rate sensor, which provides registration and transfer of information on the functioning performance of the heart in a smartphone. 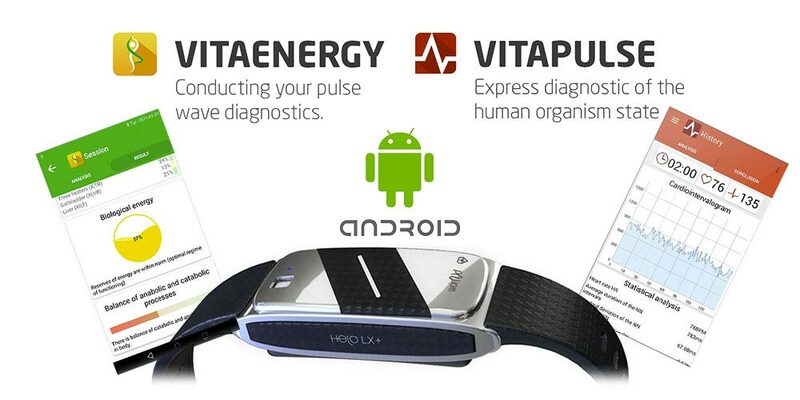 VitaEnergy for HELO LX+ is a mobile app for conducting pulse diagnostics. Electrical and mechanical phenomena occurring in the heart, simulate the external signs of a pulse wave. With the aid of mathematical methods, “Vita Energy” analyzes the language of the rhythm of the heart. This allows us to evaluate the functioning performance of both individual organs, systems of the body and the state of a person as a whole. Click here for the complete description and the download link.